Sinister 2 is a disappointing sequel that doesn't earn a majority of its scares, yet we jump anyway. And that's unfortunately all this lazy compilation of homemade horrors strives for. Coming from a man who once relied on a nightlight to ward off evil closet-dwelling monsters, the original Sinister sufficiently creeped me out. Evil dead children, a demon with a reputation for popping out of nowhere, and intolerable home movies – Scott Derrickson’s haunted house rehash scored some serious points in my book. But after watching Sinister 2, I now understand that it wasn’t Buhguul’s terrifying hypnosis that sent chills up my spine. Not in the least. It was Derrickson’s direction and tone that ensured each of Buhguul’s scares dug its fangs deeper than the last, while Sinister 2 is a wholly different beast of a sequel with a laxer grasp of horror under the guidance of Citadel director Ciarán Foy. Derrickson and C. Robert Cargill return to unleash Buhguul on another unsuspecting family, bringing along a familiar face in James Ransone’s “Ex-Deputy So & So” character (seriously, that’s how he’s credited). Taking place shortly after the events surrounding Ellison Oswalt’s untimely death, Ransone’s deputy reveals himself to be obsessed with disrupting the legend of Buhguul and his collection of unsightly recordings. The deputy’s methods are simple – find a house where Buhguul presumably struck, and burn it down so he can’t return. This pattern works until he’s about to burn down a quaint little farmhouse with a Buhguul-infested backyard church, where he meets a young mother named Courtney (Shannyn Sossamon) and her two boys. Worried that he may already be to late, the ex-Deputy begins to root around the home looking for clues, and that’s when Buhguul makes his presence known. So begins another tale of murderous children in Sinister 2, which sees the focus shift primarily from an adult’s perspective to that of Buhguul’s young target. In this case, Courtney’s son, Dylan (Robert Daniel Sloan), introduces us to the “innocent” souls that Buhguul has already captured. We learn that it’s actually the children (not Buhguul) who corrupt other children by holding midnight screenings of their own bloodthirsty offerings. Night after night, Dylan is woken up by Milo (Lucas Jade Zumann) and ushered downstairs with the promise that his nightmares would stop once all the film reels are watched. The children are a conduit for evil this time around, but that also means another more disappointing fact – limited action for Buhguul. Don’t get me wrong – Foy whips up some truly demented home recordings with the help of Derrickson and Cargill. 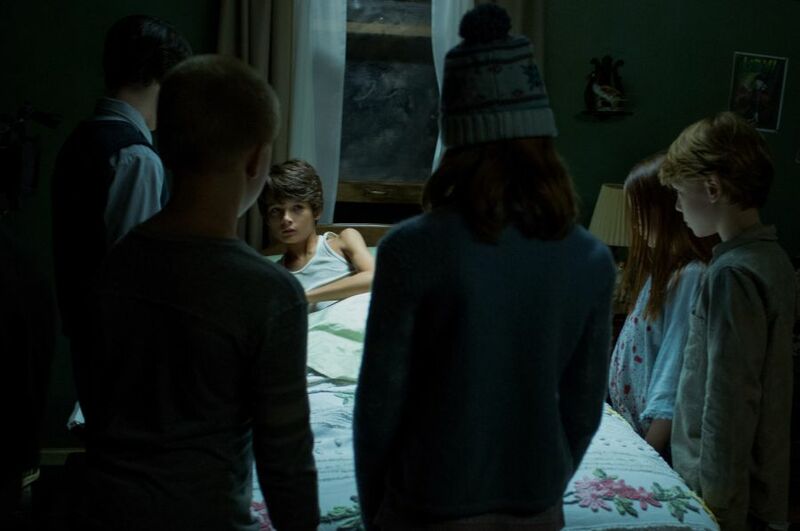 From a swampy alligator feeding frenzy to a group of rats who are forced to eat their way to safety (through people, if you needed that visual), Sinister 2 will make you squirm. I guarantee it. But Foy’s ability to deliver gore doesn’t translate into scares, and what’s even more depressing is Buhguul’s banishment to the backseat. We’ve already been subjected to Buhguul’s quick jump-scares through still images, so all those moments come as no surprise, but it’s his hands-off mentality that really undersells what horror could have been conjured. Buhguul looses his imposing nature far too early into Sinister 2, and in the few scenes where Mr. Boogie does make a grand entrance, he’s gone before we can even manage a scream. That, and he reuses every jolting trick from his Sinister arsenal in a sad attempt to stumble upon the same scares that worked so well in Derrickson’s original. It’s like Buhguul is an afterthought in Foy’s sequel, which becomes a tremendous blunder given how his ghost children simply can’t strike the same chills. Only dampening Sinister 2 is the sad fact that a character dubbed “Ex-Deputy So & So” simply cannot be anything more than a sidekick, yet he’s asked to be a main character who commands the screen. Ransone tries so hard to be this generation’s Deputy Dewey (David Arquette in Scream), but pushes the boundaries of bumbling and ill-equipped into an annoyingly stereotypical land of boring frustration. This goes doubly for Lea Coco’s abusive father figure Clint, whose villainous nature only exists for us to hate, but at least Shannyn Sossamon escapes relatively unscathed as a struggling mother with a Southern strength. Without Sossamon, we’re left watching a mute monster, his ghoulish children, a food-flinging dad, and the unusual protagonist who obviously shouldn’t be hunting ghosts – a collection of horror pawns that are moved incorrectly time and time again. 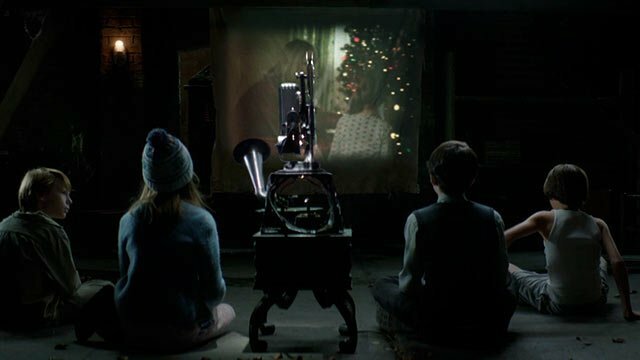 Sinister 2 is an unfortunate sequel to a much more entertaining predecessor, as Derrickson started something Ciarán Foy’s boxy scenework simply couldn’t keep alive (soap-opera-like kitchen table scenes). The scares aren’t earned, Buhguul’s terrifying nature is stripped away, and Ethan Hawke’s previous sidekick becomes a main character in what could be the film’s most confusing tactic – it’s both a rehash and an embellishment of the least interesting parts of Sinister. But it does give Foy a chance to play around with grotesque kills that remind us of homemade Saw traps, and for that, points are awarded on the gorehound front. It’s just a shame that little (to nothing) else sticks. You’ll be sleeping easy after this watch, I’m sad to say.